Normally when we think of habits, we imagine something we do frequently — every week, every day, or maybe even multiple times a day. But there are also habits that occur much more rarely — patterns of unquestioning behavior that we engage in only under specific, occasional circumstances. I had a facepalm moment recently when I realized that I’d been spending money unnecessarily every year for most of a decade, all because I’d developed a habit. I’m a big believer in comparison shopping. I compare prices every week when I shop for groceries, and whenever I want to make a one-time purchase. But purchases that repeat every six months or a year? I find it much more difficult to remember to question those. 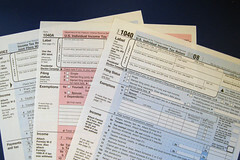 Tax preparation software is something you only have to worry about once a year. I comparison-shopped for tax software at one point, probably, oh, eight or ten years ago. At that point, I determined that our best and cheapest option was purchasing TurboTax from Costco. And every year since, I’ve picked up a copy of TurboTax at Costco. 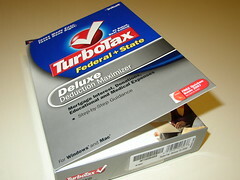 Some years I did some thinking about which version of TurboTax to buy from Costco, but otherwise I was pretty much running on automatic. 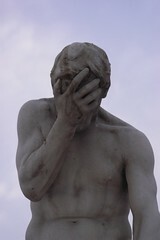 This past January my friend Stacy was visiting, and at one point she asked me what I used for tax software. (Because yes, we personal finance geeks do sit around idly chatting about taxes.) “I always buy TurboTax from Costco,” I replied … and suddenly realized how robotic I had been. In addition, our new budget was giving me an incentive to reconsider every expense. Tax preparation software does not qualify as a Need, so it comes out of our personal allotment, about which Jak and I are both a little hoardish. Rather than spend my personal stash, I was ready to consider doing my taxes the old fashioned way, with paper forms, a pen, and a calculator. Happily, I was not reduced to such antiquated extremes, because it turned out that there’s a perfectly good piece of free software that would do everything I wanted. TaxACT works on a ‘freemium’ model, which means that you get the base product for free, and then they try to upsell you on extra bells and whistles. If you don’t like web apps there’s a downloadable option, also free. All of the Free File companies except TaxACT limit their free software to people below a certain income limit, and some require you to live in a state that levies income tax, presumably so they can try to upsell you on state tax prep. I tested several of the other Free File options, including TurboTax and H&R Block, but TaxACT remained my favorite. Apparently TaxACT has been around for years now, and both Jak and I could have been calculating our personal taxes for free all that time, which is where the facepalm comes in. It’s a good lesson that I need to keep checking those once- or twice-a-year habitual purchases to make sure that a better deal hasn’t come along in the meantime. Even when something’s free, there might be a new alternative with more features or better design. With that in mind, I did just price-check our car insurance when it came up for renewal. Didn’t find a huge savings there this time, but I’ll compare again in six months anyway. Maybe I can even make a habit of it. I’ve been really happy with TaxAct – used it for several years, and crazily the price seems to keep going DOWN! I really couldn’t ask for much more than it provides, either. I’m going to review my car insurance soon though… thanks for the reminder!